The United Nations Educational, Scientific, and Cultural Organization’s (UNESCO) inscription of Mount Hamiguitan range wildlife sanctuary as a World Heritage Site is a boon to Davao Oriental, Governor Corazon Malanyaon has said. Mount Hamiguitan was recently inscribed on the UNESCO World Heritage Site list during a UNESCO Conference in Doha, Qatar, Governor Malanyaon said during a press briefing after she paid a courtesy call on President Benigno S. Aquino III on Wednesday morning. "It was declared as a World Heritage Site because of its outstanding universal value. It has a huge biodiversity. It was the endemism actually that caught the attention of the UNESCO people," she said. Endemism is the ecological state of a species being unique to a defined geographic location, such as an island, nation, country or other defined zone, or habitat type. According to the UNESCO, Mount Hamiguitan showcases terrestrial and aquatic habitats at different elevations, and includes threatened and endemic flora and fauna species, eight of which are found only at the mountain range. 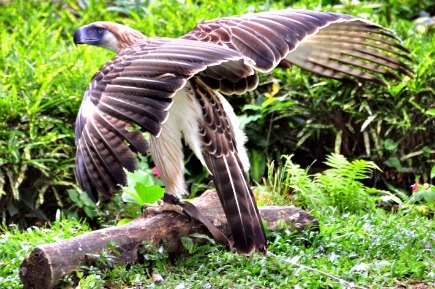 These include critically endangered trees, plants and the iconic Philippine eagle and Philippine cockatoo, it said. The designation of Mount Hamiguitan as a heritage site is good news to Davao Oriental as it will open a lot of opportunities for the province, especially in terms of eco-tourism, she said. “It is one gift that we would like to share to the world and also a way of showcasing our concern for our environment,” the governor added. UNESCO encourages the identification, protection and preservation of cultural and natural heritage around the world considered to be of outstanding value to humanity.